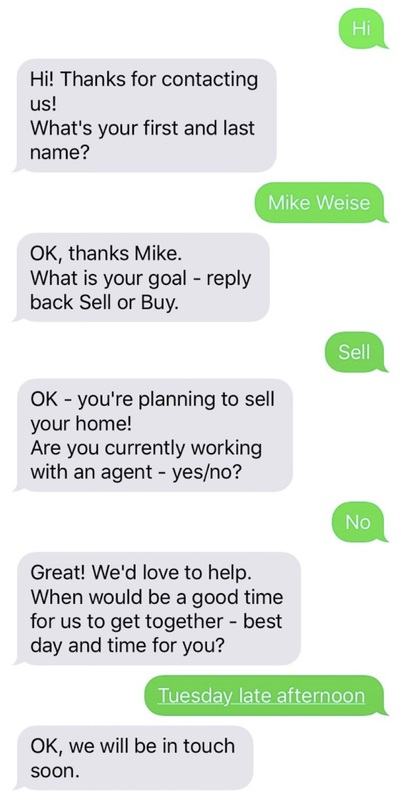 Question: Are your prospects text-messaging savvy? Answer: Yes! Everyone is now. So you have a great opportunity to capture leads using SMS Automated Conversations. With this add-on you can use outdoor signs or display ads to invite prospects to send a text to your number, and an Automated Conversation will ask them your qualification questions and gather contact details for the leads you want to follow up on. Recognize your keywords and send a different reply based on the keyword matched. Your Automated Conversations can be as simple or as sophisticated as you like, and you can create any number of them right inside the turboDial panel with an easy to use tool. Remember, with turboDial, your SMS text messages are very inexpensive – only 3/4 penny each in North America (similar pricing world-wide). You can send/receive over 1000 messages for less than $8! The SMS Automated Conversations add-on price is only $10/month and that covers all Users in your turboDial account. You can find the upgrade button in your account at https://sd123.customerhub.net .